Quality hip hop has always been close to the heart and soul of bureau45. So we’re particularly proud to welcome DJ Maseo to our artist pool! When De La Soul’s “3 Feet High & Rising” hit the scene in 1989, the album set the standards for an entire generation of hip hop artists. Open-mindedness towards new genres, innovative collaborations and a fine sense of humor paved the path for a universe of new ideas and sounds. 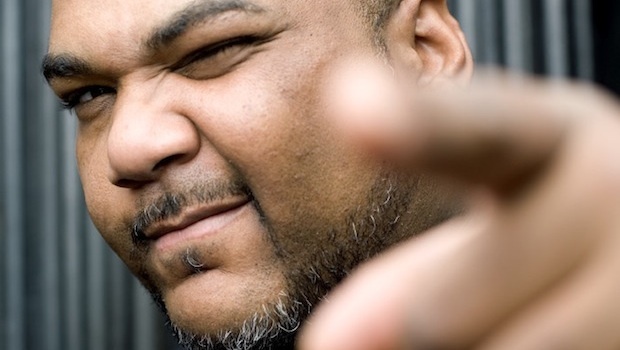 De La Soul and Maseo maintained their credibility, curiosity and their innovative minds. Most recently they toured with Gorillaz worldwide, with entire stadiums chanting Maseo’s name to prompt his now infamous demented laugh to start off the performance of “Feel Good Inc”. Maseo is currently working on his “DJ-Conductor” concept album and can be seen in the award-winning “Beats Rhymes & Life” A Tribe Called Quest Documentary. DJ Maseo is available for DJ sets in clubs and for festivals. Please contact frank@bureau45.com for details and conditions.